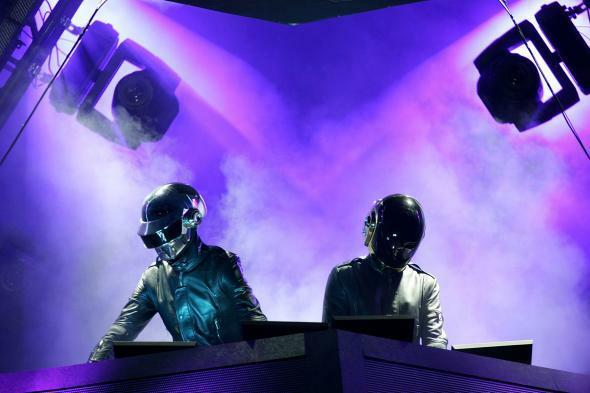 How do Daft Punk do what they do? A lot of people who listen to hip-hop and electronic music might find the process of building beats a bit mystifying, especially since the genres’ instruments aren’t as readily identifiable as, say, the electric guitar. (The drum machine, the synthesizer, and the sampler aren’t as widely understood, leading some people to say they’re not “real instruments” at all.) This video, which just started going viral this week, should help demystify that process a bit. A lot of people will see this video as proof of how building songs from samples takes a keen ear and a lot of skill: You’re not just “stealing” something, you’re transforming it. Others will see it as proof of the opposite: Anyone can put a urinal on the wall and call it art. Of course, those people didn’t put a urinal on the wall, and they aren’t Daft Punk.